It’s strawberry season locally so be sure to get to the market early so you won’t miss out on these sweet & juicy jewels that come only for a short period of time. Purchase strawberries direct from a local grower and support our small farms. This Saturday, June 21, the market will host a Strawberry Festival that has been gaining in popularity each year. The events tent, sponsored by BELD, will be up and there will be tables and chairs provided for our visitors to sit and enjoy freshly made strawberry shortcake with real whipped cream created by the folks at Homestyle Caterers with strawberries from C.N. Smith Farm. The Farmer’s Garden will have an entire tent filled with their strawberries fresh picked and ready to take home. Other vendors will be creating their own strawberry-themed specialties in celebration of this fleeting season. Live guitar and sax music by Aaron Belyea. Don’t forget our Braintree Farmers Market Moolah. Enjoy the convenience of shopping with our own market currency which you can purchase with a credit/debit or EBT/SNAP card at the Market Manager Tent. Market Moolah tokens can be used to purchase goods at the market without having to use cash or your credit/debit/EBT card with each individual vendor.Do you want to boost your SNAP/EBT dollars? 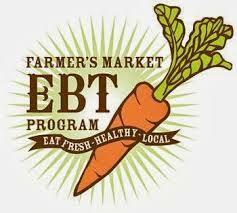 You can at the Braintree Farmers’ Market (BFM) as we start our new matching EBT Program. The BFM is currently sponsoring a matching program. For every SNAP/EBT dollar spent the BFM will match it up to $15. This will expire when the funds are gone. Only one transaction per week. Simply purchase your EBT tokens at the Market Manager tent and our cashier will handle the rest. Would you like sponsor our SNAP/EBT matching token program? For any amount, we will mention your name on our website, facebook and the market. 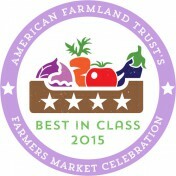 What a great way to help our community and help provide healthy market foods for everyone. For more information on becoming a sponsor please contact us at food@braintreefarmersmarket.org Thanks to everyone for supporting the Braintree Farmers Market.